Last week was a whirlwind for me. In addition to producing two shows daily, I took on some reporting projects. It's something I've been wanting to do for at least a year. And since I volunteered to cover my home county, which is in a different time zone, that meant getting up earlier. (If you'd like to see what I worked on last week, click here and here.) If there's anything I've learned in the past few months, it's that if you want something you can't just sit back and wish for it - you've actually got to DO something. 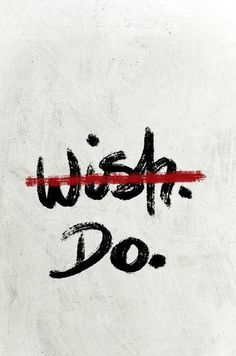 So if there's something you've been wishing for, do it. Happy Monday!